The CEB Thinline genuine leather edition features the finest in soft cowhide leather. This quality edition is highly durable, easy to see with generous 9-point type, and truly portable with a convenient trim size and bulk that is thinner than an inch. Also available in Softcover, DecoTone simulated leather, and bonded EcoLeather bindings. ABOUT THE TRANSLATION: The Common English Bible is a bold new version built on common ground. 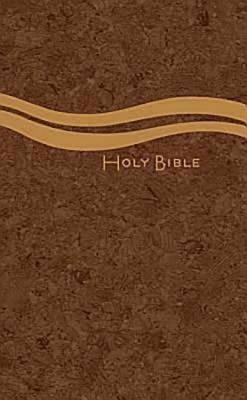 By avoiding obscure words and outdated phrases, this fresh translation removes language barriers to ensure an enjoyable, natural reading experience for young and old, believers and seekers. The result is a completely accurate translation of the original texts that's relevant, readable, reliable and easily understood today.